Everyone knows the outcome is pre-determined. Go ahead: Say you’re going to pass franchise laws that protect the most vulnerable. Franchising’s conceit is that it is a genuine human experience. It’s just a dream, a simulation. What you do after…that’ll build character! Losing my Religion, from R.E.M.‘s 1991 album Out of Time. Franchising is an imitation of a real business. …they presented a more convincing picture of virtue than virtue presented of itself – just as the wax rosebud or the plastic peach seemed more perfect to the eye more what the mind thought a rosebud or a peach should be, than the imperfect original form wich it had been modelled. 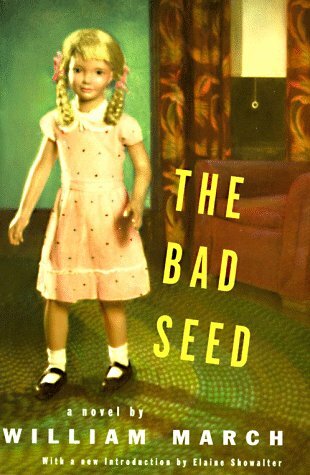 – William March, The Bad Seed quoted by retired UBC professor Robert Hare in his best book, Without Conscience Imitation Of Life, R.E.M. Charades, pop skill Water hyacinth, named by a poet Imitation of life. Like a koi in a frozen pond. Like a goldfish in a bowl. I don’t want to hear you cry. That’s sugarcane that tasted good. That’s cinnamon, that’s Hollywood. C’mon, c’mon no one can see you try. You want the greatest thing The greatest thing since bread came sliced. You’ve got it all, you’ve got it sized. Like a Friday fashion show teenager Freezing in the corner Trying to look like you don’t try. That’s sugarcane that tasted good. That’s cinnamon, that’s Hollywood. C’mon, c’mon no one can see you try. No one can see you cry. That sugar cane that tasted good. That freezing rain, that’s what you could. C’mon, c’mon on no one can see you cry. This sugarcane This lemonade This hurricane, I’m not afraid. C’mon, c’mon no one can see you cry. This lightning storm This tidal wave This avalanche, I’m not afraid. C’mon, c’mon no one can see me cry. That sugar cane that tasted good. That’s who you are, that’s what you could. C’mon, c’mon on no one can see you cry. That sugar cane that tasted good. That’s who you are, that’s what you could. C’mon, c’mon on no one can see you cry. Did ya hear: Andy’s alive! Man on the moon and they still can’t commit to a reasonable expectation for cash flows? Hey baby, Are we losing touch? Pseudos: from foolish stern to foolish bow. Man on the Moon, R.E.M. Hey Andy, did you hear about this one? Tell me, are you locked in the punch? Hey Andy, are you goofing on Elvis? Hey baby, are we losing touch? Hey Andy, are you goofing on Elvis? Hey baby, are you having fun?